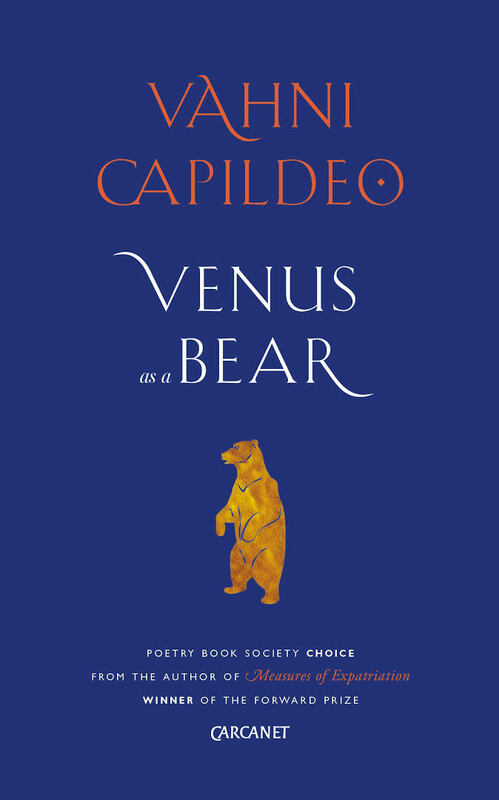 The intriguing title of Vahni Capildeo’s exquisite collection, Venus as a Bear, promises a kind of transformational prose, a mish-mash of animal and myth, of the ordinary and the extraordinary – and it surely delivers. A winner of the 2016 Forward Poetry Prize, Capildeo is undoubtedly a worthy contender for this year’s prize. Capildeo’s verse is infused with her extensive background in Old Norse Literature, translation theory and her own Indian/Caribbean diaspora heritage. – referring to the disappearance of Juliet Tam from Arima, Trinidad, in 1985. There are not many as stream-of-consciousness as this; however, the few that are feel like a necessary part of Capildeo’s process, an emotional cleansing for the poet. The visual quality of her more experimental verse – words scattered across the page in varying languages, letters arranged like crosswords – is not best captured here but adds to the value of the collection immensely, especially after rereading. “TIC TAC TOE” utilises the Os and Xs of the popular game, lining them up against questions of home, space and language. With their alliteration and sing-song rhythm these poems offer a reprieve from some of their more bewildering counterparts (see, for instance, “RIDDLES”). 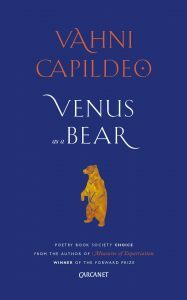 Overall this is not a particularly emotional or sentimental collection, and much of it requires a strong cuppa and a good amount of thinking time – in fact, each poem should really be absorbed on an individual basis – yet this is precisely what makes reading Venus as a Bear such a rewarding experience. Capildeo’s grasp of language and its nuances is superb and her specialisms truly shine here. It’s easy to see why Capildeo has been nominated for the Forward prize a second time; her imaginative musings bounce from the page and help to capture historical objects and everyday life in a contemporary way.